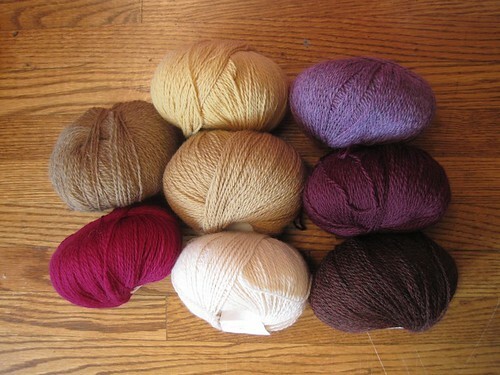 There will come a day, hopefully one day very soon, when I am not stubbornly transfixed by selecting colour combinations of Knit Picks Palette for potential colour-work designing. I am very sorry to announce that so far, today is not that day. I keep endlessly shuffling them around, deciding “okay this time for sure” that I’ve got it, swatching it up, then not being entirely happy with it and trying again. I think that this time I might have it…but then check in again tomorrow morning and we’ll see about that. This weekend as a change of pace from that, and distraction from the fact that I am still not back onto running and need to figure out what the hip woes are actually all about (show me a runner who can’t run and I will show you the dictionary definition of the word “miserable”), I allowed myself to be kidnapped by knitters into the city. 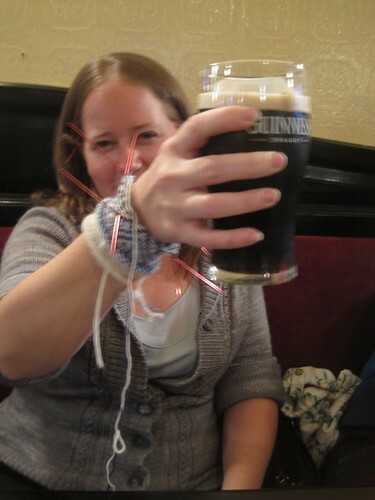 On Friday it was ‘Drunken Knitters’, a monthly gathering of Toronto knitters in a pub, which I always mean to come in for and almost never actually do. Just in case any of you think I am the only one cracked enough to take on colour-work or lace while under the influence, I can reassure you there were knitters present doing both of these. This includes Michelle, who was working away on stranded mittens on 2.0mm needles, and pausing between sips of Guinness to pet her progress happily. I hung out some more at Lisa’s and got some free kitty cuddles, visited the Purple Purl, and knitted a bit. I met up with Jane who, fresh from a visit to the camera store for new toys, stuck a hat on my head and took pictures of it. As one does, when one hangs out with knitters. When next we meet, I hope to have solved the colour decision, or at least have moved on to another set of knitting decisions. Happy knitting! 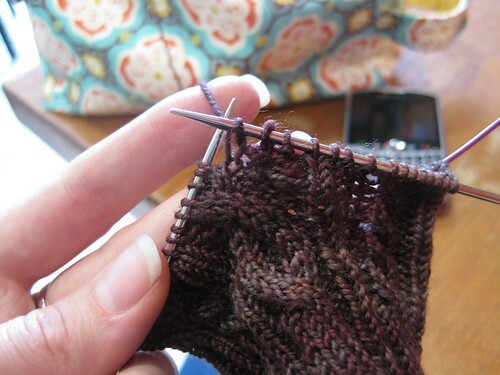 Keep the yarn close by. Miserable is right! My husband was plagued endlessly with running injuries in his early 20s. He even had knee surgery a while back. His problems seem to be largely solved with running barefoot, believe it or not. I’m a convert as well, not to total barefoot running, but I wear minimalist shoes (VFFs) and it works way better for me. Anyhoo, I can’t wait to see what you come up with in those color combos! Looks like you had fun, despite not being able to run. 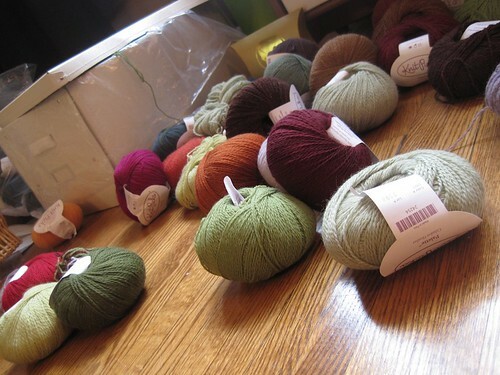 Can’t wait to see what you make of your yarn! That color combo looks gorgeous! Oh yes, the miserable non-running runner. I’ve got one of those at the moment with the name of mr beest. It’s the first time for him, but “fortunately” he’s seen me go through this once or twice before. You have my sympathy, and I wish you a speedy recovery. Minimalist shoes might be a nice addition to the training diet, I do 2-3mile runs in the Nike Frees every now and then. If I find a grass track, I even go barefoot for a few rounds. And the colour palette problem… Oh how I have been staring at the shade card from Jamieson and Smith! It seems very similar to your current predicament…. So many fantastic colors in Palette! I can see why you get sucked in. If I am in desperate need of a fresh – brand – new – idea, and it doesn’t come to my mind in few day, I just put that project away and start something else, that usually leads to a brainstorm that I was awaiting. Take your time, no one is chasing you! In my defense, I did text first to give you a bit of warning. Oh… color choices… I have been “organizing” my stash, and found all kinds of little scraps that could be used creatively… and I did!!! Made a couple of “trimbles” that I absolutely love. Did not know such a thing existed, of course the scraps had to be cotton. Now about the rest of the stash, seems that I have all kinds of color combinations just waiting for me to knit something with the varied yarns… so, yesterday a modular shawl has been started by using some turquoise and some green… not a bright green and when I run out of these two, I have other blues and greens that I plan to use and just see what happens… the shawl will start asking for what it needs as it grows. 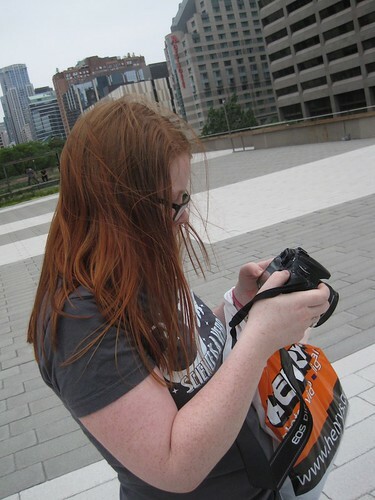 I love your blog… so happy to have you and the other knitters to share with. I totally feel your pain. I have been out (of the running regimen) for three months now with plantar fasciitis. Is it wrong of me to admit that hearing that you’re also out of running for a while makes me feel a little better? You know, like we’re in this together? (In a totally non-creepy you-don’t-know-me-from-adam kind of way, of course.) I do hope you get better soon, of course! I have the same problem with colour, but also with texture, pattern – everything. Yarn seems to be “speaking” differently every day. If you know what I mean? LOL! the good news is that you can’t be missing many colors. 🙂 That sounds like a fun project.